This beautiful Kiddush cup will enhance your Kiddush ceremony and Shabbat table. 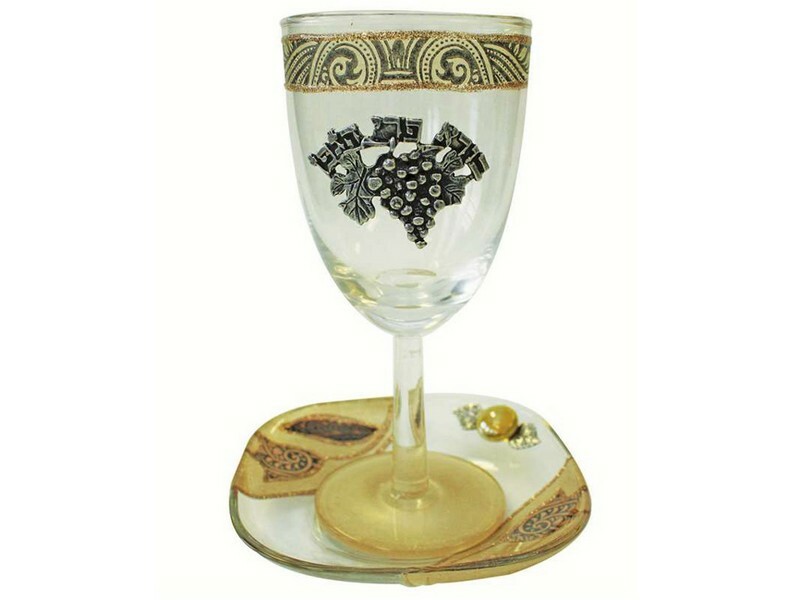 This glass goblet is decorated with a brown and gold applique and a silver colored plaque with grapes and the words “Borei Pri Hagafen”. Glass Kiddush goblet comes complete with a matching glass plate.